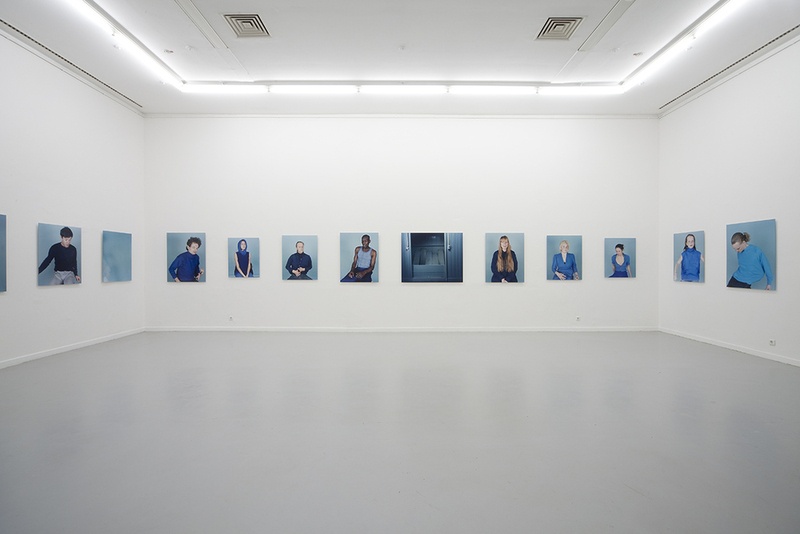 Becoming Blue has been shown since 2009 in various solo and group exhibitions, among them in Künstlerhaus Bethanien Berlin, museum het Domein Sittard, galerie Adler Frankfurt, Corrosia Almere, VU Amsterdam and Dutch Cultural Centre in Shanghai. 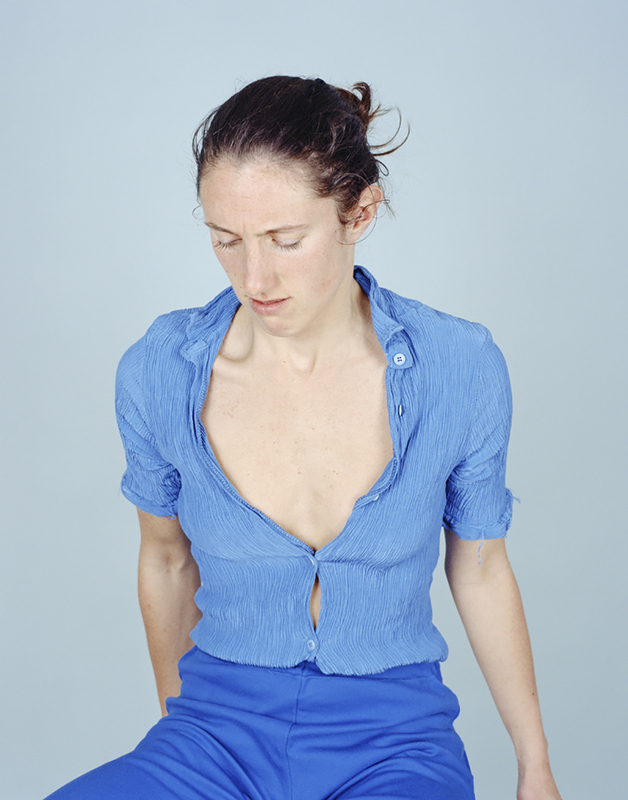 Anouk Kruithof's series Becoming Blue comprises 21 portraits and three spatial stills. They are presented in different formats and reveal Kruithof's highly exceptional approach to the topic of portrait photography. 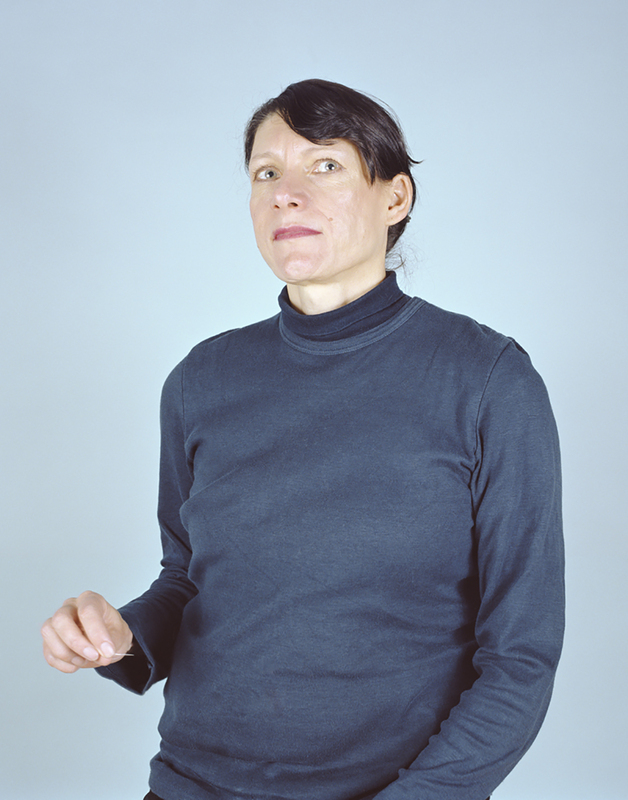 During extended sessions, which Anouk Kruithof calls one-to-one performances she did not usually work behind the camera but in the rest of the room, frequently pressing the trigger by remote control. 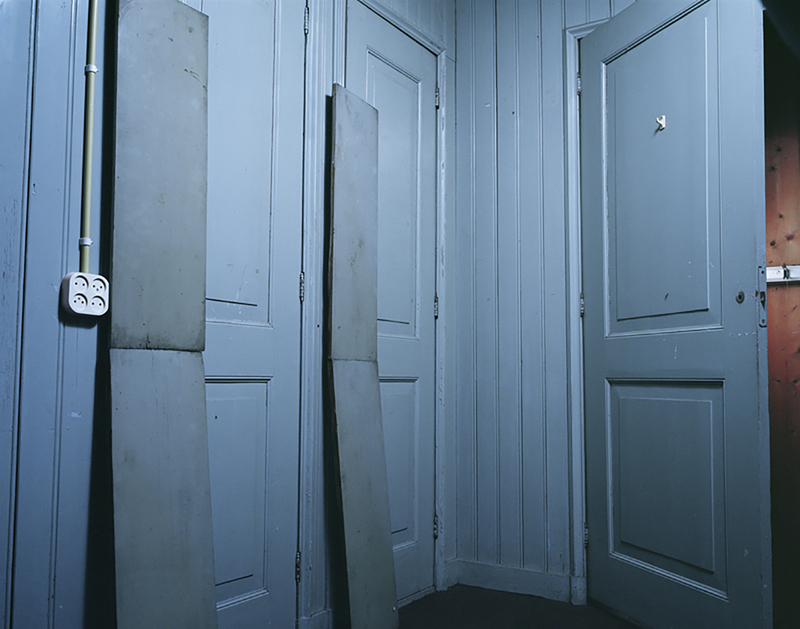 At the same time, she made constant but minor physical interventions to influence the person being portrayed, so that her photos capture the subject's gestures and facial expressions interaction to the unknown, irritation or stress. Reactions out of the blue. 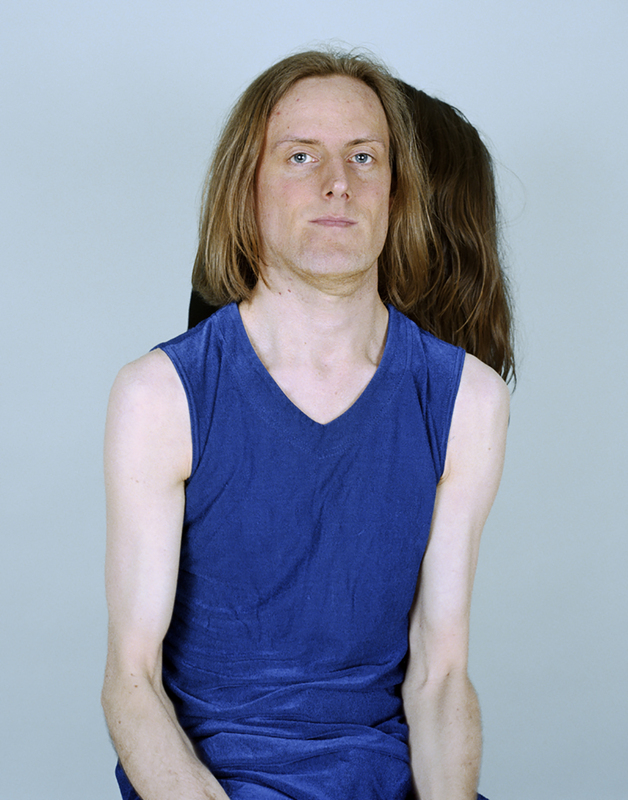 Blue is a colour we associate with infinity and meditative calm both in art historical as as in psychological meaning. The poses and gestures of the persons portrayed obviously contradict such associations - a stylistic means that Kruithof deliberately chooses in order to visualise different emotional and psychological states during a process of surprise or even confrontation. 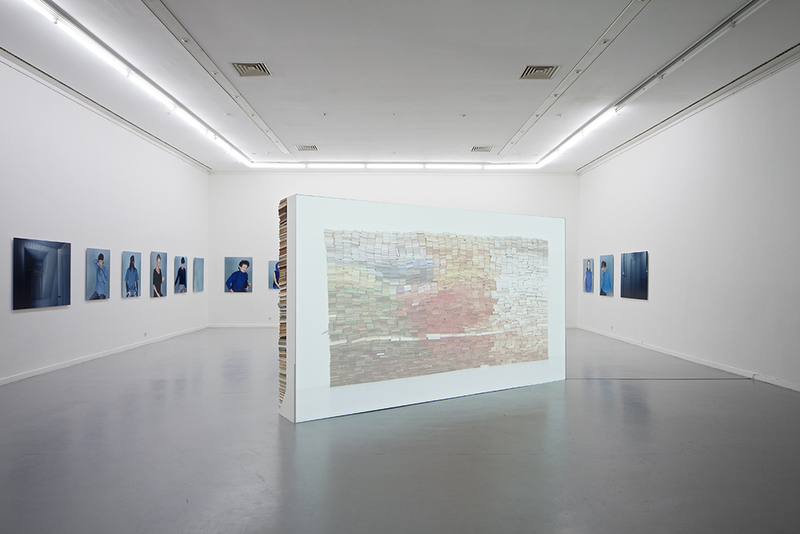 Kruithof's thinking in color and in the characteristics of pictures is the clearest evidence that, for Anouk Kruithof, the process of elaborating the photos is not coincidental or done for its own sake, not an experiment or test run, but a procedure carried out in accordance with the rules of beauty, in the knowledge of the characteristics of aesthetic perception - and thus artistically necessary.